Attorney Gary Jones at The Law Center for Social Security Disability in Oklahoma City, Oklahoma, brings more than 23 years of experience helping disabled individuals recover the benefits they deserve. 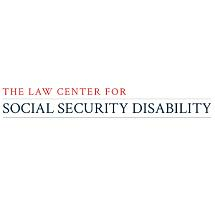 The Social Security Disability system is complex and can be frustrating to the point of causing qualified applicants to give up. Many applicants are aware that initial applications for benefits frequently get denied. Still, the appeals process can be confusing and seemingly set up to work against qualified applicants. Because Mr. Jones is familiar with the complex aspects of the appeals process, as well as the administrative law judges who hear appeals, he is able to help individuals maneuver around the pitfalls and expedite the approval of benefits. He knows the challenges, and how to overcome them — and does so with an emphasis on personal attention for every client. The initial consultation is free, and there are no upfront costs. You will meet with the lawyer who will handle your case from start to finish. You will only pay attorney fees if Mr. Jones helps you recover benefits. Call the law firm at 405-896-8852 to schedule a meeting.